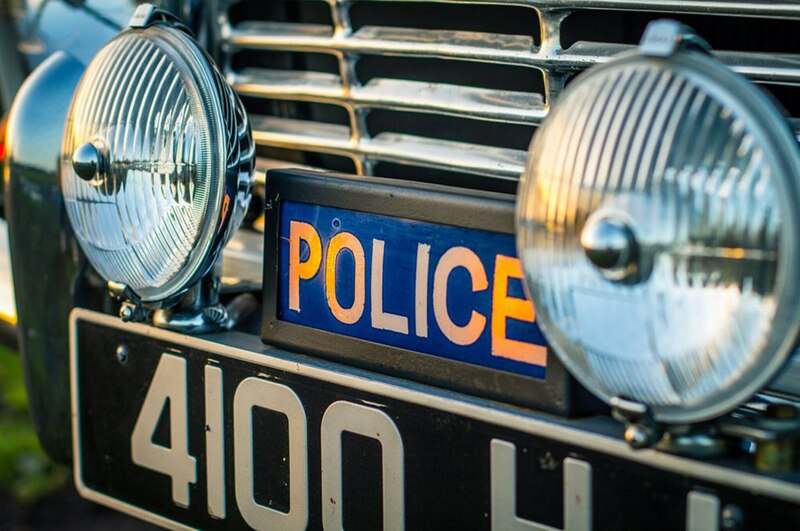 There is a standard formula for police vehicles in the U.S. They must be large enough to hold all sorts of tactical gear and a suspect in the back seat, maintain rugged reliability, and chase down the baddies when things turn sour. 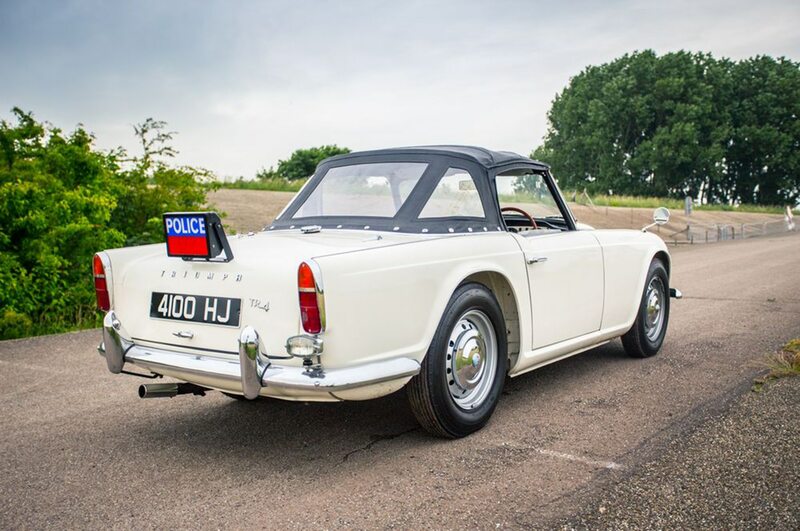 Apparently, in 1962, speed was the only requirement for the Southend on Sea County Borough Constabulary in Essex, England. 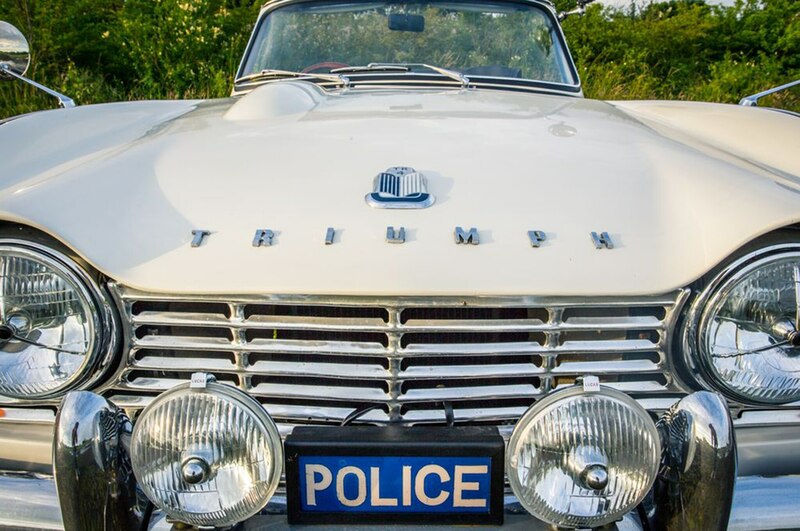 Unbeknownst to many, the Southend police department ordered a brand-new Triumph TR4 from the factory, and used it as a high-speed pursuit vehicle through the 1960s. Sound cool? 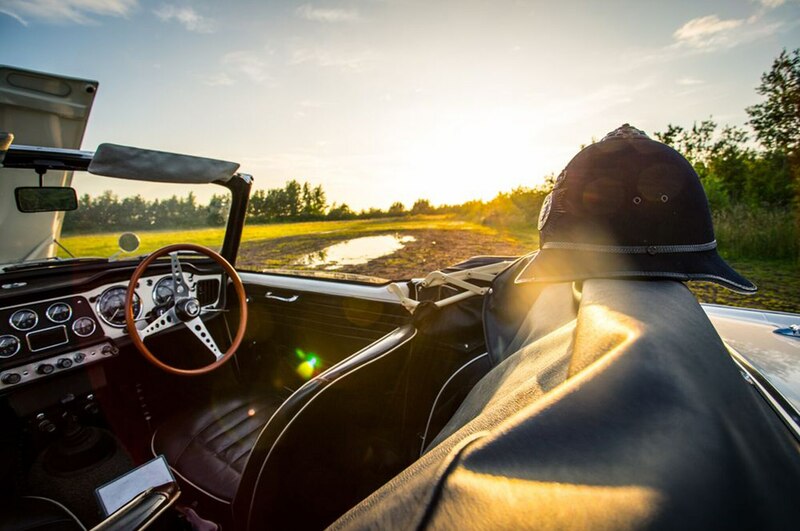 Well, if your pocketbook is fat enough, it’s now for sale through our friends at Petrolicious. 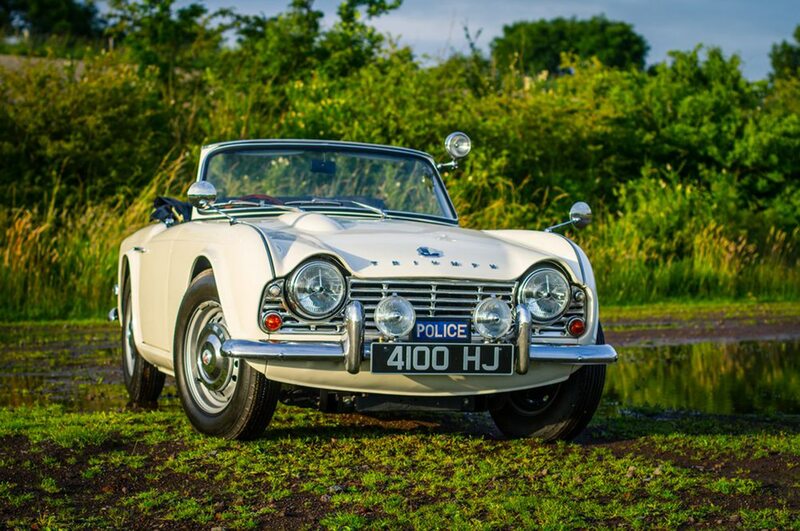 Nope, there are no tricks being played here; that is an illuminated “Police” sign on the front of this charming little British roadster. 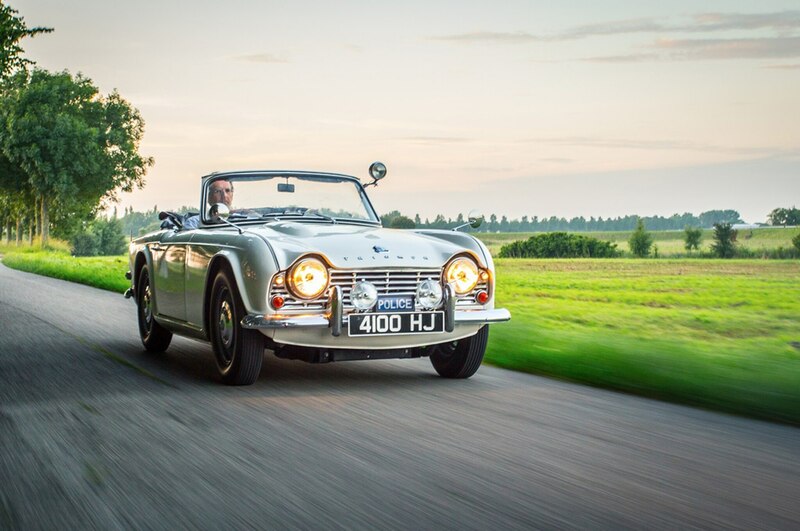 As British sports cars began to make headway in performance, Britain’s finest were not able to keep up in their boxy, asthmatic sedans. In an attempt to curtail some of the lead-foot drivers in the area, Superintendent Bill Burles of the Southend police department took delivery of the 1962 TR4 pictured here. 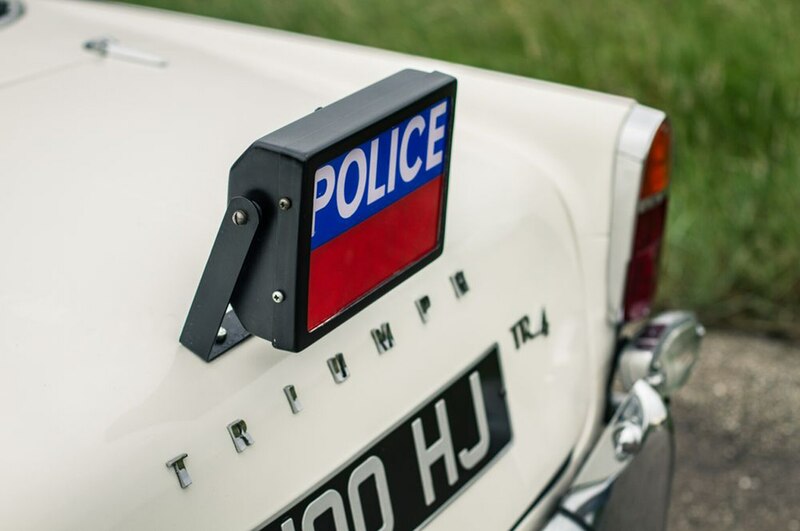 Along with the oh-so-cool front “Police” plate, the car received a trunk-mounted “Stop” plate, an original Winkworth emergency bell, air horns, reverse light, fender mirrors, additional front flood lights, spot lamp, and the all-important dispatch radio. 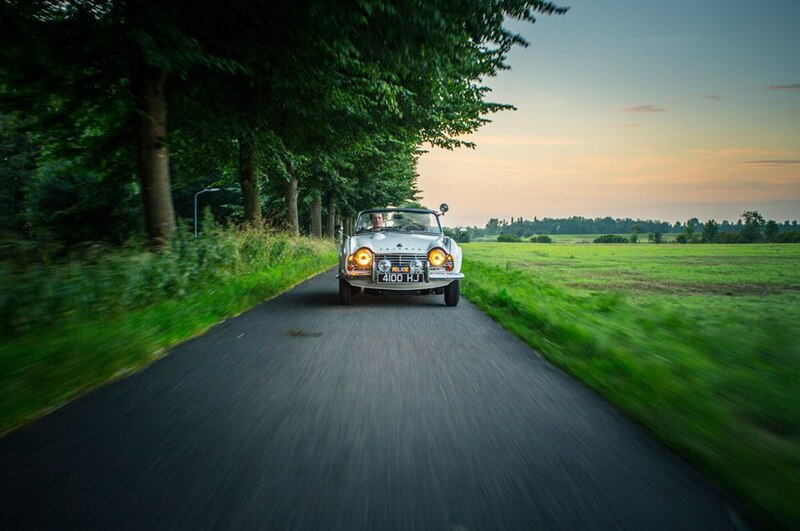 According to Petrolicious, the TR4 remained in a constant state of patrol. 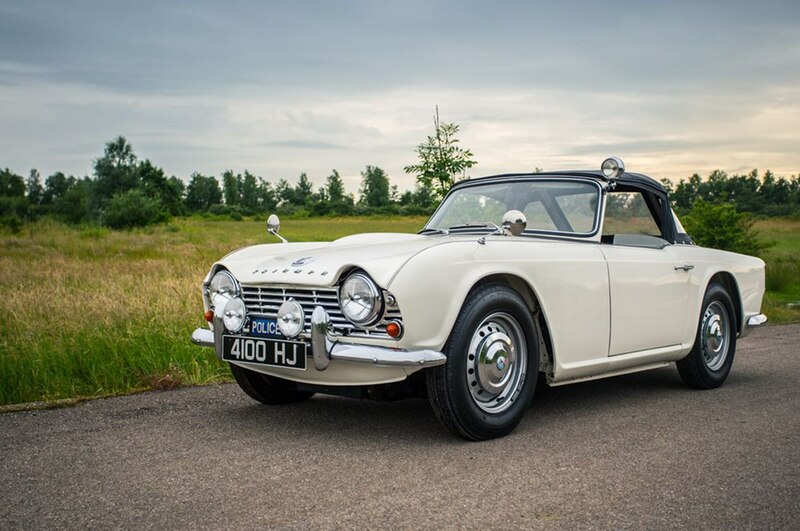 The Triumph rotated in lengthy daily shifts, averaging 150 miles per day, and covering “more than 1,000 miles a week.” Now, this being a 1960s British car, these miles were not kind to the overall reliability. 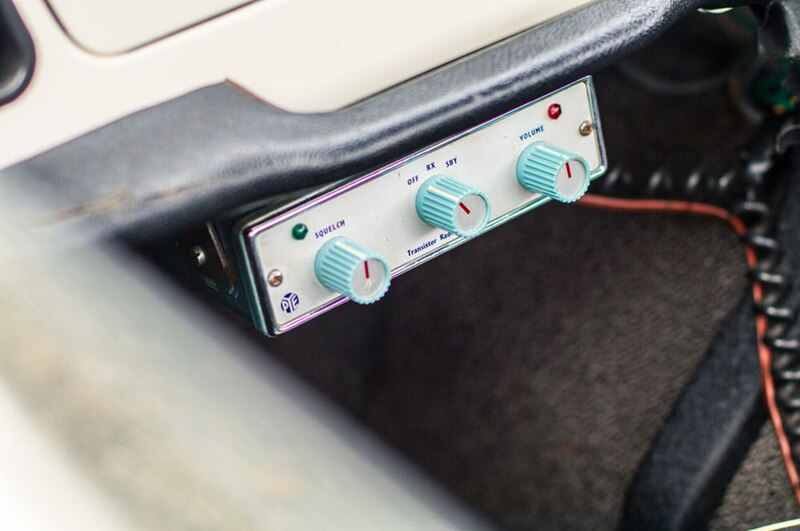 It isn’t clear what preventative maintenance was performed on the car, but Petrolicious notes the seats were re-fastened to the floor with a welded floor-pan plate. This being 1962, the roadster was not equipped with any sort of safety belt, so those in the passenger seat made do by holding a death-grip on the seat bottom during quick maneuvers. All this stress eventually caused the floor brackets to shear. Yikes. After retirement, the Triumph moved from owner to owner, until it was restored by a noted Triumph specialist in 2000. 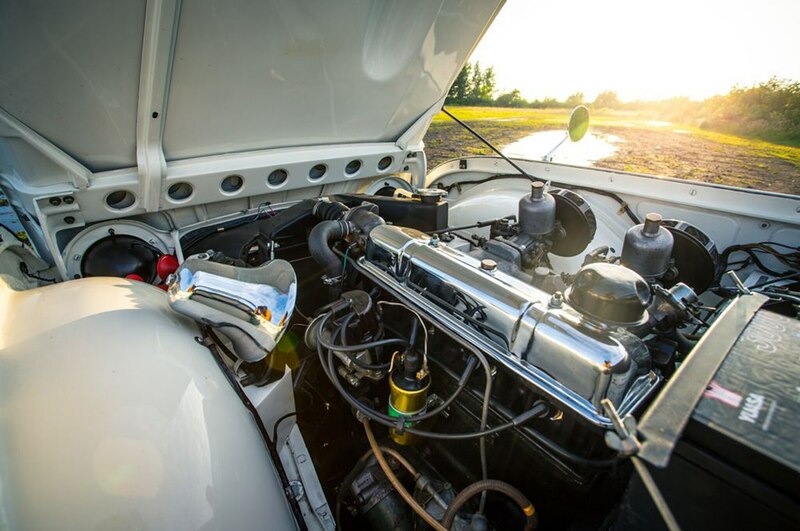 It was a “nuts-and-bolts” job, with a non-original, period-correct four-cylinder under the hood with just 5,000 miles since the refresh. 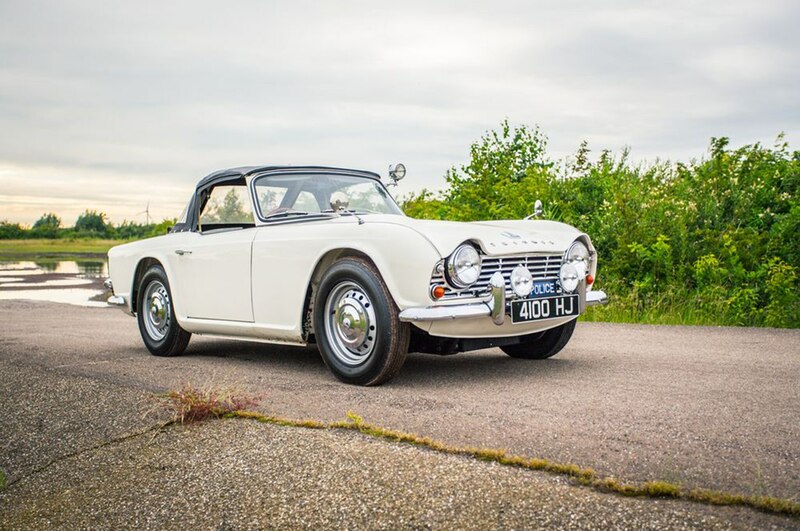 Overall, the car is in impressive condition, with only very minor cosmetic issues to report. 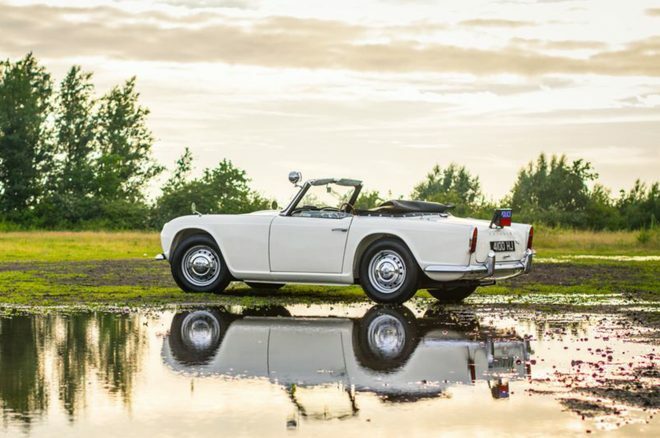 If you gotta have it, head on over to the sale post, where Petrolicious lists it for $79,000.